Performance reviews are important tools that managers can use to boost employee performance and productivity to higher levels, but often fall prey to some common mistakes. As your organization prepares to review employee performance in the coming months, we recommend avoiding these 5 pitfalls. 1. Managers aren't trained or prepared. Many managers are never trained on how to properly conduct a performance review so they don't know how to plan for and deliver an effective review. 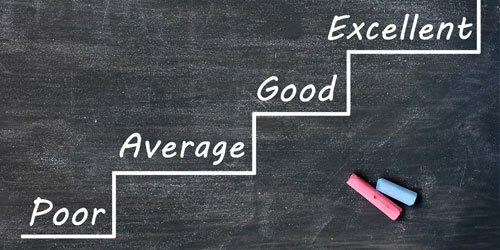 There are proven best practices regarding conducting an effective performance review, including what to document, what to say, and how to say it, so it's important to make sure managers receive performance management training on planning for the review, writing a review, and delivering a review discussion. These topics should be continually revisited and reinforced. Additionally, some managers never prepare and plan for performance review discussions with their employees. Performance review meetings can occur at a moment's notice with little effort put forth by the manager. Many managers view the performance review process as filling out a form and complying with an HR requirement, rather than as a useful management tool to provide feedback to their employees and evaluate their progress. Similarly, managers may not document performance, recognize accomplishments, or deal with poor performance throughout the year. Not doing so can lead them to be unprepared with the information they need to give accurate performance reviews. 2. Managers don't evaluate employees accurately. Unknowingly, managers may be making these biases or rating errors, especially if they are unaware of them. Biased evaluations can lead to perceptions of unfairness, subjectivity, and favoritism which can hurt a performance review's effectiveness and cause employees to distrust the performance management process. 3. Managers are too vague. Many managers tend to use vague language during the performance review such as: "You're doing a great job" or "You could do better," instead of citing specifics in terms of what the employee did well or not well in terms of their performance. Without knowing the specifics of what their boss liked or didn't like, employees aren't provided with useful feedback that they can use to improve their performance nor do they understand why they didn't receive the pay increase or promotion they wanted, if the review is tied to compensation or advancement. 4. Managers surprise their employees. Some managers never bother to let their employees know when their performance is slipping, and during the performance review, the employee is surprised with negative feedback, a low performance score, a missed promotion opportunity, and possibly even a threat of termination. Not providing feedback throughout the year (on both good and bad performance) is a common mistake managers make. Surprises aren't fair to your employee, and they aren't a good practice for performance reviews. Employees need more frequent feedback on how their performing versus just an annual evaluation to explain to them what they are doing right and wrong so that they have a fair chance to change their behavior. 5. Managers aren't supported by solid processes and systems. Performance reviews play a crucial role in managing performance, but when these mistakes are made or when performance management systems are faulty, they can miss the mark. To avoid these pitfalls, be sure your managers have the training, tools and support to conduct performance reviews effectively this year.